Stephanie Burkhart is a 911 dispatcher for LAPD. She also served as an MP in the US Army for11 years. Multi-published, she has a children's book, "The Giving Meadow" with 4RV Publishing. She's an avid reader, loves coffee in the morning, chocolate, and her favorite movie "werewolf" is David Thewlis, "Remus Lupin" from Harry Potter! Morgan Duma and Adam Varga have known each other their entire lives. In fact, their mothers are close friends despite their fathers having sometimes strained interactions with one another. They also have a unique common trait passed down from their fathers: eyes like none others they have ever seen. With the war in their home town of Budapest, Hungary, the two parted ways a few years prior to pursue goals elsewhere. They are reunited by coincidence while riding a train back to their homes in the city. Each feels the emotional pull they had for the other from years prior, although they had not shared their feelings during that time. Another passenger stands out to both Morgan and Adam: a man who also has the strangely mesmerizing eyes as they. 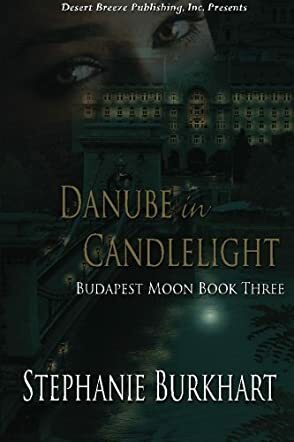 He, too, has noticed them, but especially Morgan, and has his assistant find out everything he can about her once they get to Budapest. What happens next is an intertwining of suspense, action, passion (there are a couple of very steamy scenes that are not for the faint of heart), dark secrets unlocked and revealed, and lives changed forever. This book is one in a series, but it read well on its own. The foundation of the other books would have been nice but was not necessary. There are more in the series to come, as the characters develop further and the story continues on. One of the things I really enjoyed about the author’s writing was her smooth incorporation of area history and verbal visualization of the area. If I close my eyes, I can see the city, the manors of the Vargas and Dumas families, the rooms and furnishings. This story is the closest I have ever come to reading a book that feels like a movie!